Vultures have no feathers on their head so they don't get a load of clotting blood stuck to their noggin as they plunge their beak into rotting innards. They have extremely powerful stomach acids which not only digest their meat and destroy potentially lethal toxins and bacteria, but also have a couple other uses. When threatened, they can projectile vomit the stuff up, which should get pretty much anything running. Secondly, they urinate all over their own legs. Not (just) because they are vultures and need care not a jot for what "society" thinks, but because their urine retains some of the guttural (as it were) potency, allowing vultures to wade knee deep in decomposing horror without their legs turning into decomposing horrors. It also helps to cool them down, which seems like a pretty pathetic excuse if you ask me. They are large birds, and can't go around flapping their huge wings all the time. They use rising, warm air called thermals to gain height, soaring round and round and up and up in a circle like a really slow, relaxing tornado. Sometimes they're weighed down by the food they eat, though you mightn't notice. Vultures don't have the grasping feet of eagles with which to carry off their meals. Instead, they just eat as much as they can whenever they can. Chicks therefore have to be fed by regurgitation, but I don't like to dwell on that. New World vultures are found from South America right up to southern Canada. Many of them have a remarkable sense of smell which they use to find carrion, unlike the Old World vultures which rely only on sight. Unlike almost all birds in fact, very few of which have a sense of smell. Somehow, having one great, big nostril seems to help. Or not exactly one nostril, but nothing in between the two of them, so it forms a rather ghastly hole near the beak that you can see right through. Another difference is that they don't build nests, simply laying their eggs on bare ground. And cliffs. The eggs seem to be about as perilously spherical as any other, but I guess they know what they're doing. There is some controversy as to where exactly New World vultures fit into the bird animal tree. Many used to argue that they were related to storks of all things, although if you take a look at our very own Marabou Stork it doesn't seem so outlandish an idea. These days the argument is whether they are a Falconiforme, along with eagles, hawks and the other vultures of the world, or whether they are in their very own order and not birds of prey at all. Whatever they are, they're... here. Let's go see! With some 4 and a half million individuals, this is the most common vulture in the Americas and is found all over South America, many of the larger Caribbean islands and right up into south Canada. The more northerly ones fly south for winter. It's a large bird at about 80 centimetres (32 inches) in length, 180 centimetre (72 inch) wingspan and a weight of 1.4 kilograms (3.1 pounds). 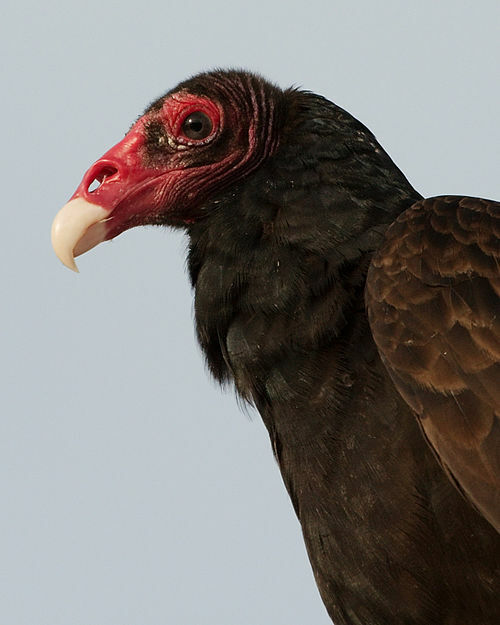 It flies at fairly low altitudes compared to many other vultures, using both sight and a keen sense of smell to find bodies of the dead, big or small, they're not fussy in that regard. Perhaps to aid this, they tend to stick to reasonably open areas and away from thick forests. They also roost in dead trees and lay their eggs in caves and cliffs, so maybe they just really hate leaves? 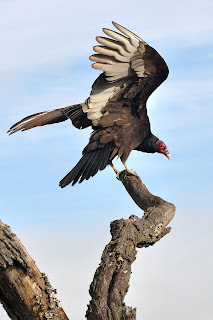 Actually, those roosts can be rather impressive, or intimidating; turkey vultures are gregarious and hundreds of them can be found snoozing together before flying off to find food on their own. Well, sort of. King vultures can often be seen following them around since they don't have the nostril powers of the Turkey. The King will then use its bigger size to take over the party, which is not so bad because they can use their more powerful beaks to cut into the tough hide and muscle to get to the good bits and have their fill. Weaker-billed birds like the Turkey can then dive in afterwards and get to the nice, soft heart of the matter. Vulture and vulture, working together. It's a beautiful thing, ain't it? Being a tad smaller than the turkey vulture, this one may well be third to the feast, getting to the grub after the both the King and the Turkey have finished up. It's found all over the northern half of South America flying at a similarly low altitude and using sight and smell to find carrion. They tend to stick close to the more heavily forested areas, though. 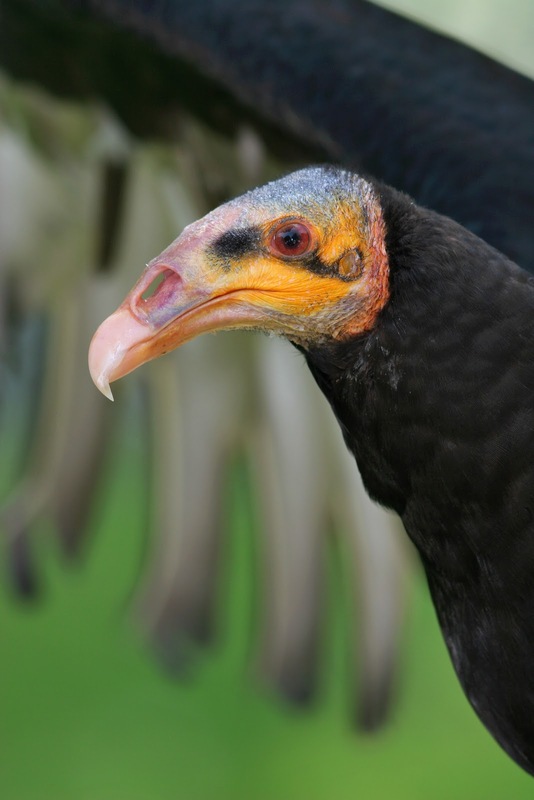 Before 1964 there was such a thing as a Yellow-headed Vulture, then they decided that actually there were two separate species. As you can probably imagine, they are very similar but as the name suggests, the Lesser is slightly smaller and of a lighter build. They are found in Brazil and the surrounding areas as well as up through Central America and into the South of Mexico. They prefer savannah to forest, almost like it just wants to be different from its bigger brother. The Black vulture is found in all but the most southern of South American land and right up through the Caribbean and Central America into the South US. At some 65 centimetres (25.5 inches) in length and with a 1.5 metre (5 foot) wingspan, this is a big bird. But we're talking vultures here! Round these parts it's pretty much dinky. They are similar to turkey vultures in some respects, preferring lower flight and open land. Black vultures can sometimes even be seen roosting amongst all those hundreds of Turkeys. One difference is that they have no sense of smell, so they often follow the Turkeys around to take advantage of their hard work even though their eyes serve well enough should they be unable to leech around. 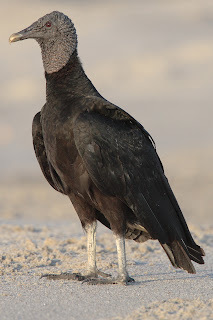 Black vultures also feast at rubbish tips and have been seen ganging up on newborn calves that don't know any better, pecking at their face and killing them. Horrendous! With their shiny black feathers and nasty, grey, wrinkly head, I find they look rather like some kind of carrion crow in a chainmail helmet. It seems that the Mayans agreed that this is a rather despicable creature. Their hieroglyphics depict the black vulture attacking humans and they associated it with death. There was a time when this bird ranged over the USA's Southwest and West Coast, feasting on the remains of huge, now-extinct mammals. The loss of this megafauna led to a decline in their numbers. Even flying at speeds of up to 90 kmph (55 mph), as high as 4,600 m (15,000 ft) and distances up to 250 km (150 miles) couldn't solve this problem. Later on, they weren't helped by poaching, poisoning, egg collecting and habitat destruction. In 1987, every single wild condor was captured for preservation and captive breeding. There were 22 of them. I knew a guy who had a tiny extra finger on each hand, so he could've counted them all on his fingers and toes. Today, or in August 2010 to be exact, there are 384 of these condors, 188 of which are in the wild. It would be a huge shame to loose such an impressive beast. At 3 metres (9.8 feet) it has the biggest wingspan of any bird in North America. It can be up to 140 centimetres or 55 inches long and weigh up to 14 kg (31 lb) in weight, which also makes it the biggest land bird on that continent in every other respect, too. It is defeated only by the Trumpeter Swan, holding up the pretty side of things, as well as the Mute Swan, which was introduced into America in the 19th century. Yet another problem with taking animals into foreign ecosystems. 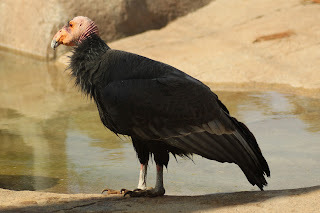 Californian condors find food by sight alone, which is why they fly so high up, and they also follow other vultures and take over with their superior size and strength. In fact, they can shoo away near enough anything aside from bears and golden eagles! They prefer a nice, big corpse so that they can gorge themselves and need eat only every few days or even two weeks. They can also reach the grand old age of 50, which makes them one of the longest living of birds. It's probably not surprising that such a huge animal was very important to Native American tribes and myth. Some say it recreated all humanity when everyone was killed in a flood. Others say that it went around cutting peoples' heads off to cause a blood flood (Blood Flood. There's a heavy metal band name right there). 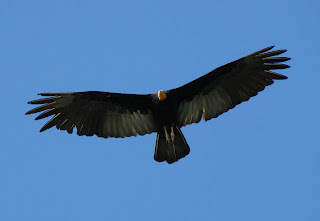 Still others say the condor caused eclipses by spreading its wings and that it ATE THE MOON to cause the lunar cycle. Of course, we now know the moon is not made of cheese, but that didn't stop Native Americans killing the bird in shamanic rituals. Condor bones have even been found in human graves and they are also seen depicted in cave paintings. With this multifarious history, it's remarkable to think just how close this impressive beast came to being itself, nothing but a picture, a story and a memory. Guess what. The Andean Condor is even BIGGER than the Californian one! Its 3.2 metre (10.5 foot) wingspan is the biggest of any land bird in the world, definitely smaller than the Wandering Albatross, and possibly also some Dalmatian Pelicans, if reports are to be believed. It also tends to be a bit heavier than its arch rival, though a little shorter. Actually they're not rivals at all, they've probably never met. 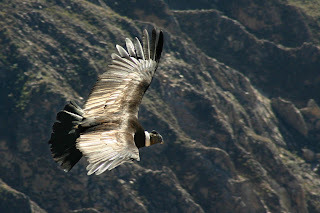 The Andean vulture can be found, predictably enough, soaring over the Andes, alpine areas of 5,000 metre (16,000 foot) elevation as well as grasslands. Their range is a sliver all the way up the west coast of South America, much like the Andes themselves. Like its Californian brethren, the Andean spies big carcasses using supreme eyesight and gorges itself until it can scarcely fly. It even reaches about the same unusually elderly age! We're back in South America again, so we have another powerful bird with a beak more powerful than most vultures, so, like the King, the Andean might follow Turkeys and Yellow-heads to take over and break into the soft, yielding guts. 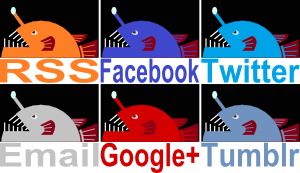 This creature has been depicted in indigenous Andean art from 2500 BC onward. They associated it with the sun deity and believed it to be ruler of the upper world. They also killed them, believing their bones and organs to have medicinal powers. Ah well, you win some you lose some, I guess. Finally, after I-don't-know-how-many mentions, we reach the King Vulture. It's the biggest vulture that gets called a vulture in the New World, by which I mean it's smaller than the condors. Specifically, it can reach 81 centimetres (32 inches) long, with a 2 metre (6.6 foot) wingspan and 4.5 kilogrammes (10 lb) in weight. It also has the most powerful bill of all the New World vultures. All this means that in its range of Brazil and her surroundings and up into Mexico, the King may well get its name from the fact that it is often the one to make the first cut into the tough, somewhat less palatable outer flesh of freshly dead animals. In fact, these are its favourite parts, so other vultures can hope for a good amount of guts to be left over. 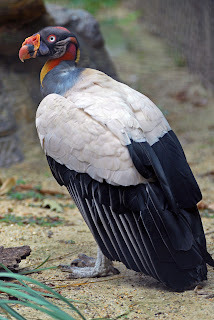 Unlike most vultures, the King has never been seen attacking weak or sickly animals and in parts of its range it might meet the Andean condor, where it backs down without a fight. So it seems to be quite peaceful and oddly squeamish about fighting and killing and stuff. Maybe it just doesn't want to mess up the make-up? I mean, they look... gaudy? Beautiful? Utterly ridiculous? Certainly it doesn't look like something I'd expect to see tearing open a corpse and feasting on rotting flesh. The King is another vulture that the Mayans depicted in their bark cloth books, in fact it's their most frequently featured bird. The King is often seen as a god with a human body and birdie head, serving as a messenger between humans and the other gods. Maybe this is how they got the name? Also, some South Americans believed that if the Shadow of the King! (has to be the name of SOMETHING) befell someone, they would suffer some terrible misfortune, not excluding death. On the other hand, the Blood & Feathers of the King! (hmm, maybe not) were also believed to cure disease. A nice example of our love/hate relationship with the dreaded, yet extremely valuable, vulture! I had no idea there were so many different vultures! I lived in Venezuela, Honduras and Mexico for a total of 10 years and I saw buzzards everywhere, but they all looked the same to me! Something amusing: In Honduras is a clothing store named after the owner, called "Carrion". Driving down the road, one would often see a slew of vultures perched on top of a billboard labeled Carrion. Little confused they are, methinks! I just found your site, and I'm enjoying reading through all your articles. You have a great sense of humor! The idea of vultures confusing a word with reality is hilarious! I'm pretty sure there's quite a lot of philosophy exploring humans doing exactly the same thing. I'm glad you found Real Monstrosities and decided to say nice things, I really like nice things! This is really awesome stuff. Found this after arguing with my pals about how lethal marabou stork poop is. How corrosive is it to metal, by the way? Your humour makes this whole article as alive as the vultures, awesome! Wow! Thank you for your kind words! I looked it up and I don't think Marabou Stork poo is particularly corrosive to metal. which talks a lot about the bacteria and so on that can be found in there. This seems to be the main problem. I think it will corrode metal but it sounds like it has to accumulate for ages, it won't start burning through the moment it touches. It could be more to do with mould and bacterial growth. I didn't read it all but I did a few word searches and I can't find any talk of the particular dangers of Marabou Stork faeces. Sounds like it's dealt with in the usual manner.